White House counselor Kellyanne Conway brought props to a Fox News interview Wednesday in order to address the latest accusations stirring up the ongoing investigation of Russia's interference in the 2016 election and possible collusion with the Trump campaign. 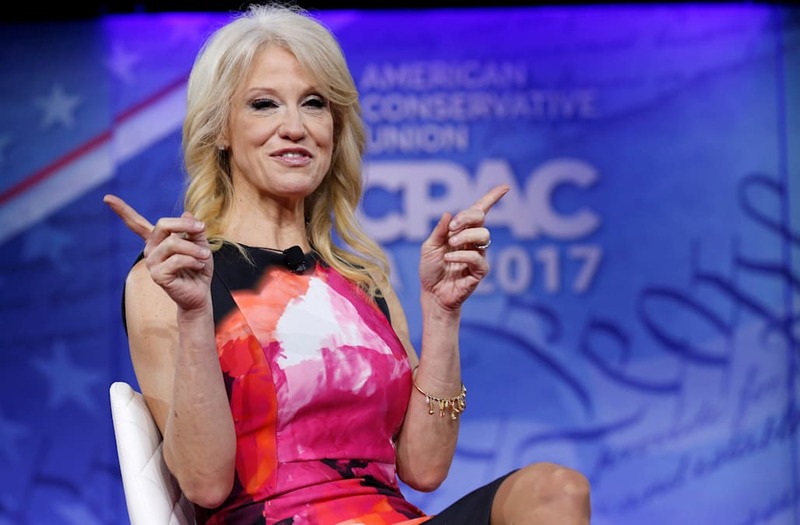 "I just want to review, in case you run out of time," Conway said to Fox News host Sean Hannity. "This is how I see it so far." Holding up white pieces of paper with "CONCLUSION?" and "COLLUSION" in bold type, Conway began to illustrate her point. "This is to help all the people at home," Conway said, as she held up the pages. "What's the conclusion? Collusion? No, we don't have that yet." Conway then crossed out the "COLLUSION" with a red pen, and held out a different page with the words "ILLUSION" and "DELUSION." "I see illusion and delusion," said Conway, referring to the media outlets that have covered Trump Jr.'s email scandal. "So just so we're clear, everyone, four words: conclusion-collusion, no. Illusion-delusion, yes." "I just thought that we'd have some fun with words," Conway said.